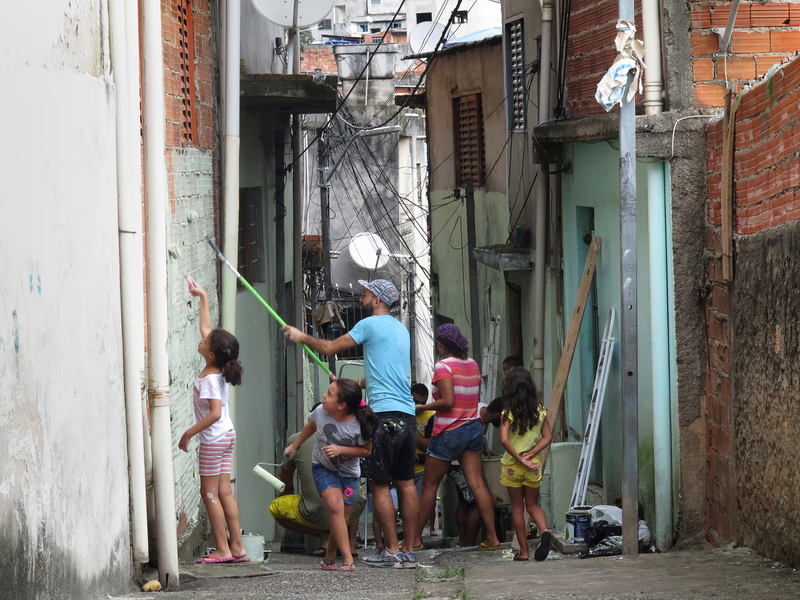 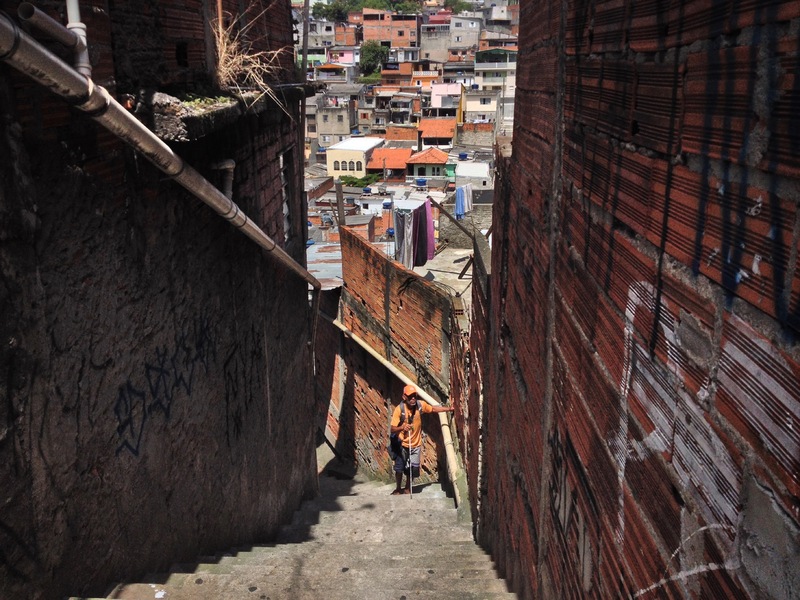 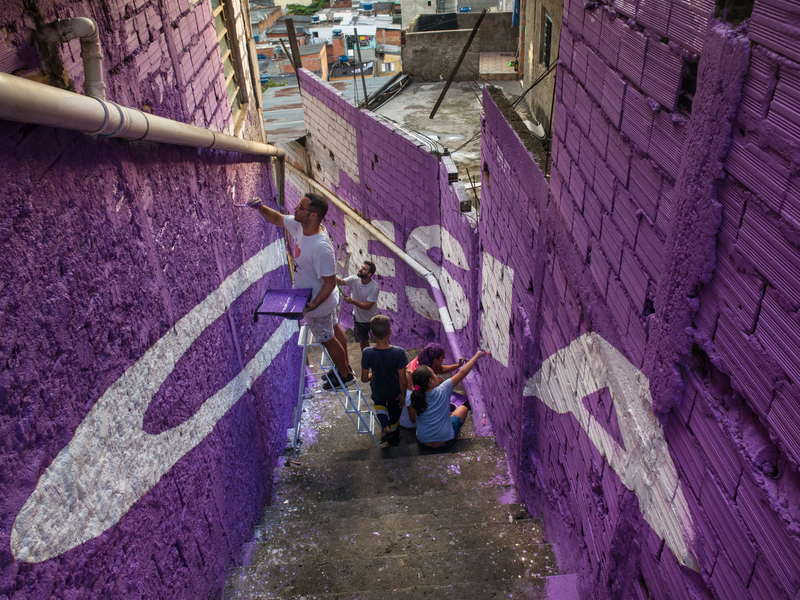 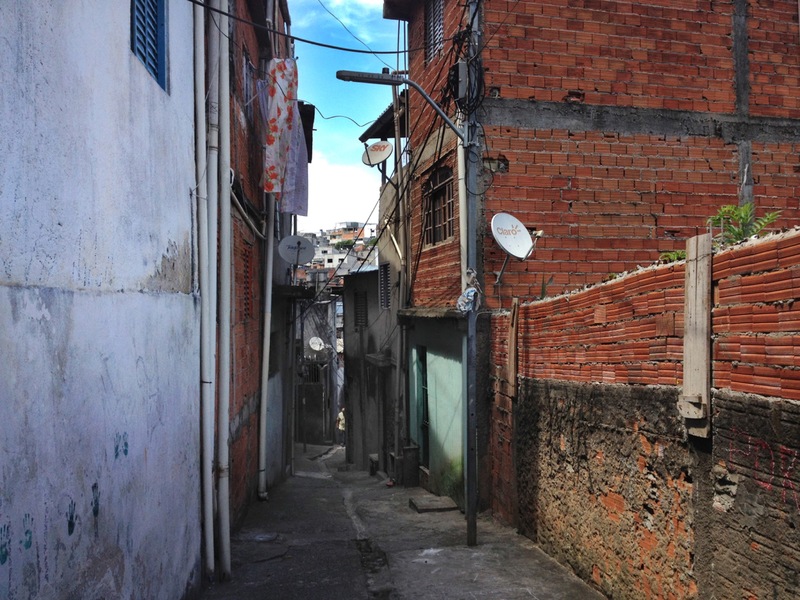 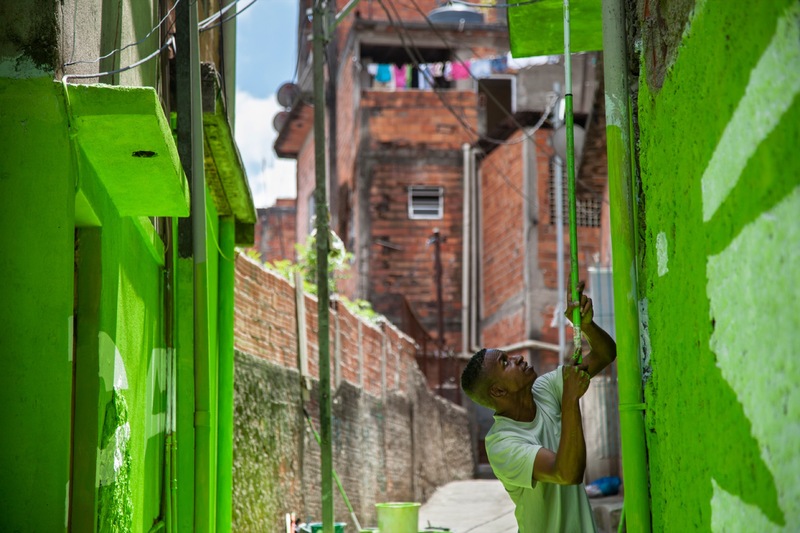 This month, the good people from Boa Mistura have been back to the Favela of Vila Brasilandia, located in north São Paulo, Braazil to continue the project “Luz Nas Vielas”. 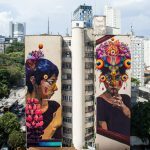 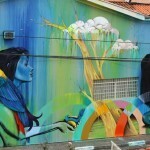 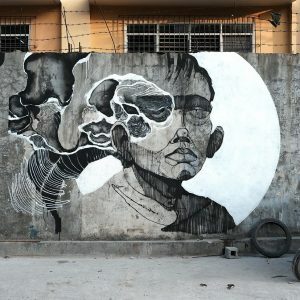 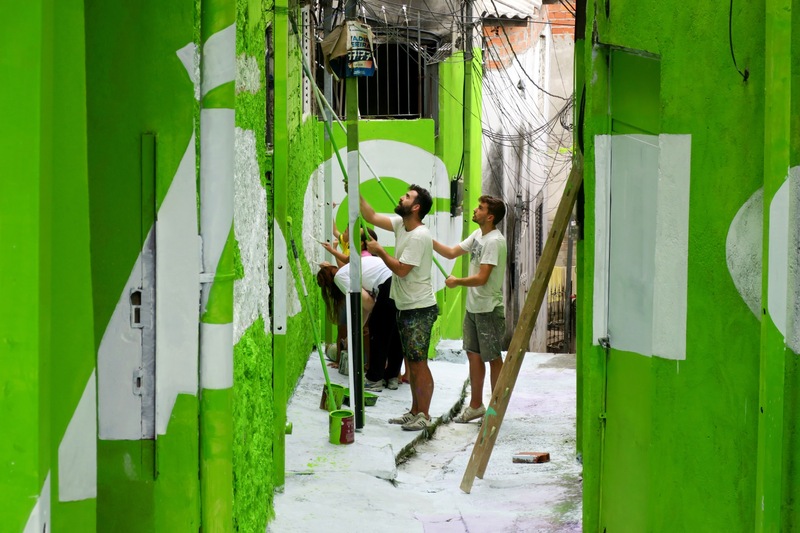 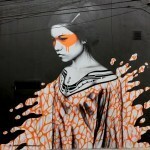 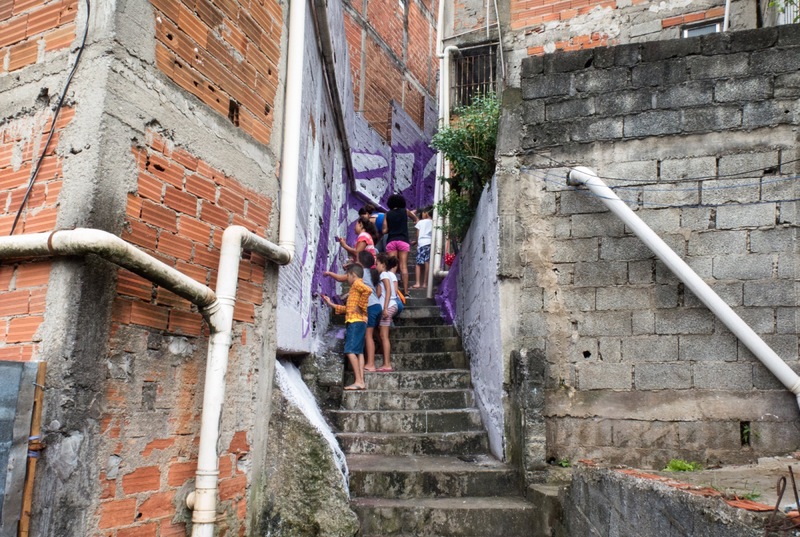 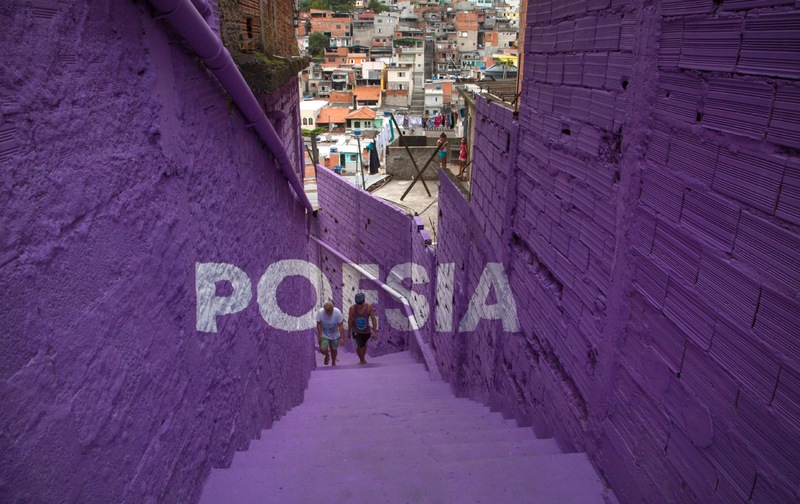 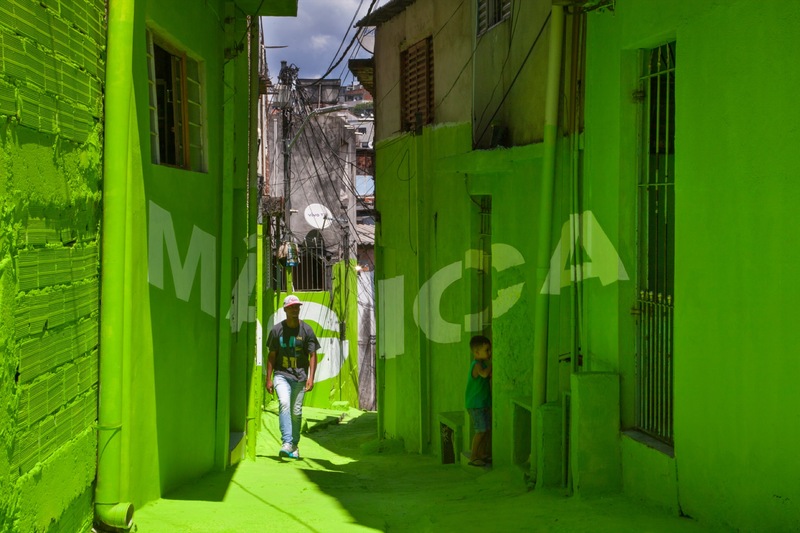 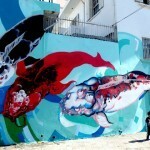 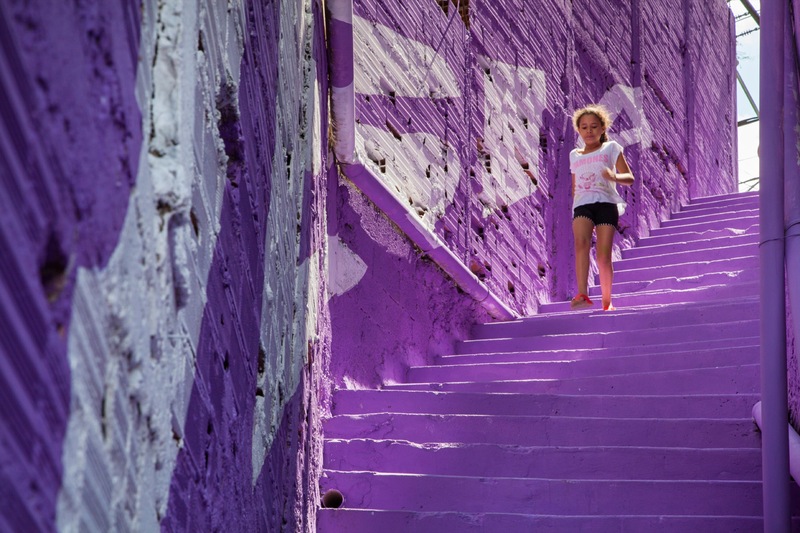 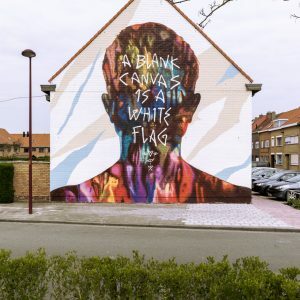 In January 2012, the art collective painted a series of words strategically scattered in different alleys in the favela, known as “vielas”. 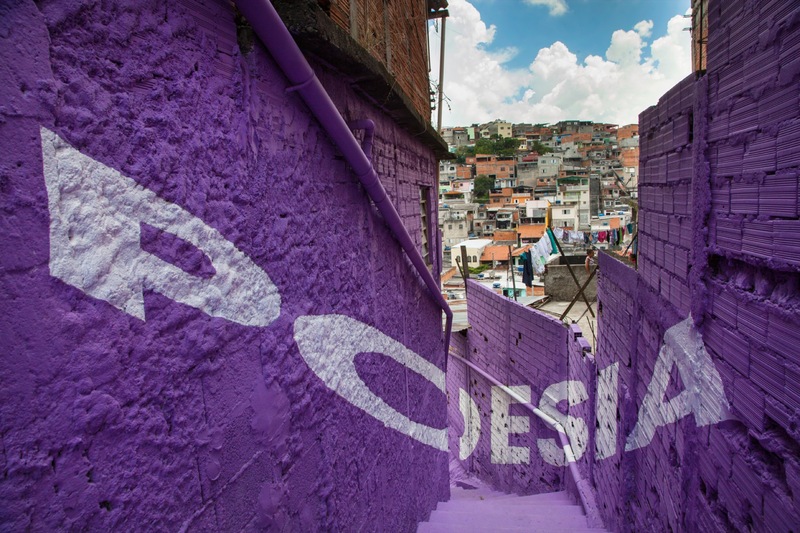 They wrote “Amor, Beleza, Orgulho, Doçura, Firmeza” (Love, pride, sweetness, beauty, strength). 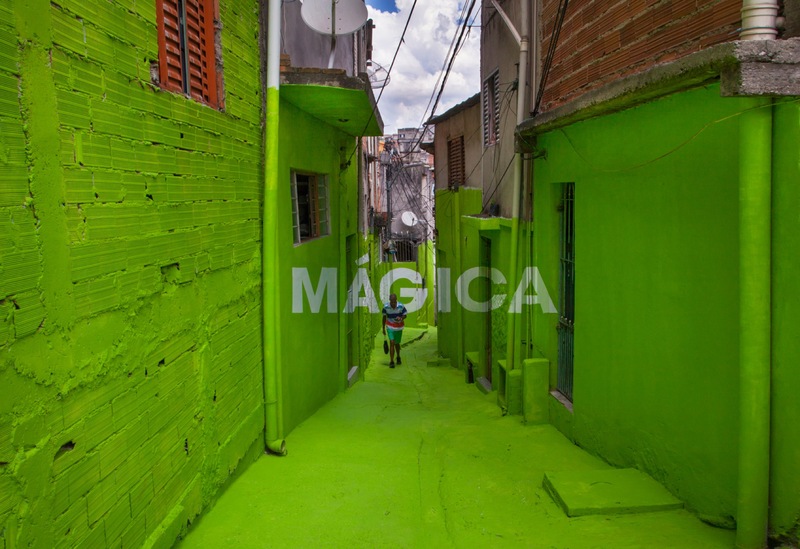 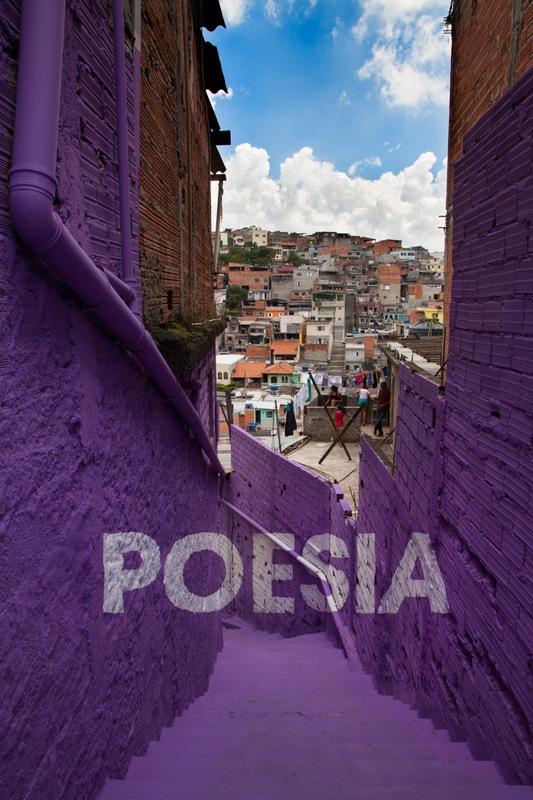 Five years later, we have added two new words: “Poesía” and “Magica” (poetry and magic), highlighting the beauty of the irregular constructions, the magic of the spontaneous urban growth, the intensity of the relationships between neighbors and the smile of the kids playing up and down the stairs.